CORY CLARK was raised on a 5th generation ranch in eastern Wyoming, giving him first-hand experience in owning and managing livestock and agricultural real estate. Following graduation from Chadron State College with a BA degree, Cory began his real estate career in 1996. Within the past 22 years, Cory has closed on over 295 agriculture properties consisting of over 138,450,000 acres and over $586 million in sales. Cory’s integrity, experience, professionalism, and attention to detail are the foundation of his success. 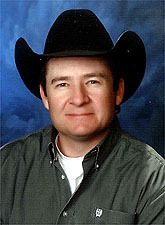 Through a developed wealth of experience in marketing ranch properties throughout the west and his passion for the land and the people who chose to make it their home, Cory has earned a reputation for unquestionable personal and professional integrity, providing genuine concern for clients and seeking to understand their singular goals and motives. Helping clients broker their transactions is not just a job, it is his passion. Cory is licensed in Wyoming, Nebraska, South Dakota, North Dakota, Montana, and Colorado.